Asa and I were watching a food documentary on sourdough one evening and found it interesting that sourdough’s just flour, water, and time. You don’t need to add yeast because sourdough uses the yeast that’s naturally floating around in the air and in the flour. It’s so fast, you can proof grocery store yeast in about 5 minutes. The yeast in the air, on the other hand, takes it time to do its job. Whereas grocery store yeast has a rise time of an hour or two, the yeast in the air has a rise time of 12-15 hours. That’s almost an order of a magnitude longer. So what does that mean? Well, yeast is in another branch of the animal kingdom which is closer to animals than it is to plants. They eat the food in the flour, inhale air, and exhale carbon dioxide. It’s the combination of carbon dioxide and the creation of gluten that makes bread rise and be fluffy. Now with sourdough, since it works so slowly, it will begin consuming all the oxygen in the dough (that’s why it loves being stirred up) as it makes gluten. As the oxygen gets used up, the yeast starts making lactic acid (just like we do when we exercise really hard). That lactic acid is what makes sourdough sour… and it makes the sourdough starter smell like beer. 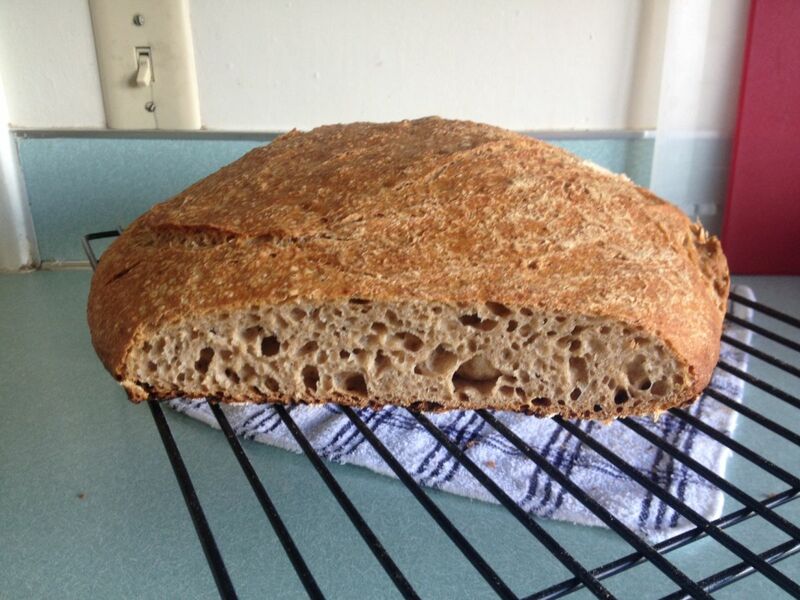 So we had this idea of keeping up a sourdough as we bounce around the world. It’ll pick up all the deliciousness from sourcing flour locally and from the different species of yeast in the air. We think it’ll be delicious. Check out the “Sourdough” category to see an ongoing log of where this sourdough’s been.